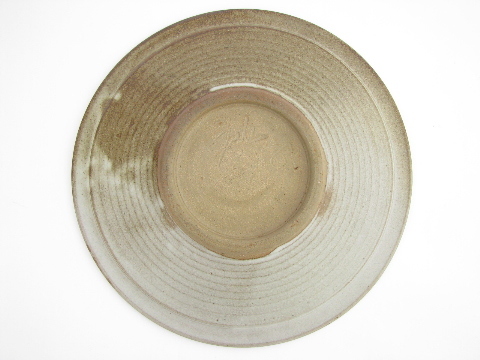 Two large shallow pottery bowls, 8 1/2" and 9 1/2" in diameter, both handmade, rustic stoneware pieces, very nice. 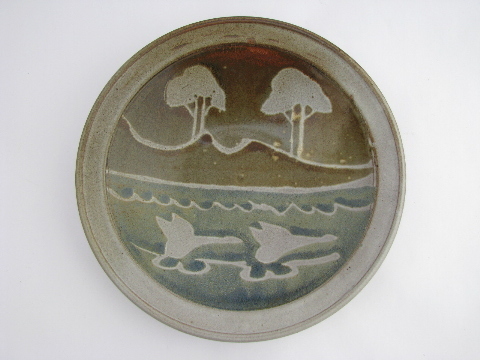 We love the designs on these, stylized grasses, and trees by a lake with birds flying. 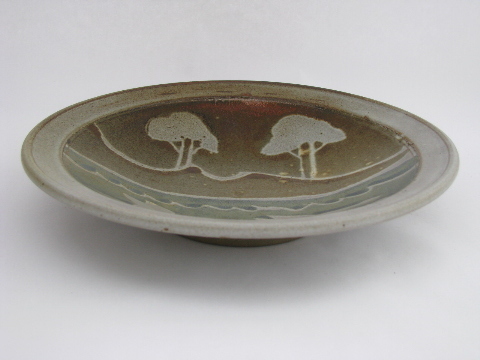 The trees and water pattern bowl is artist signed, though we can&apos;t make out the signature. 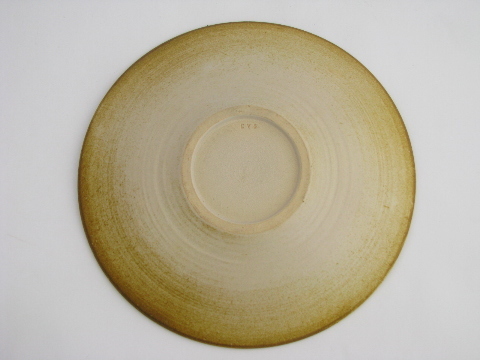 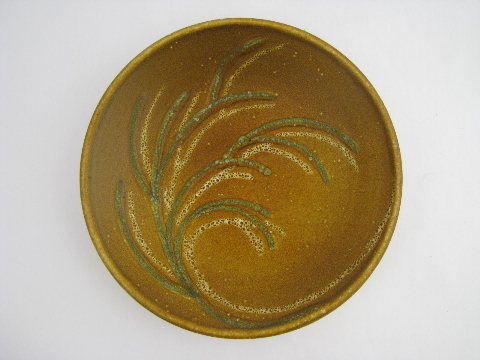 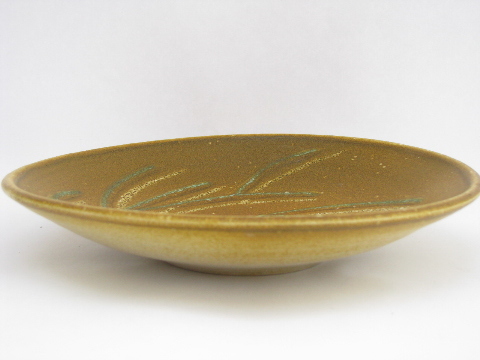 The gold with grass pattern bowl is stamped something with very�tiny letters! 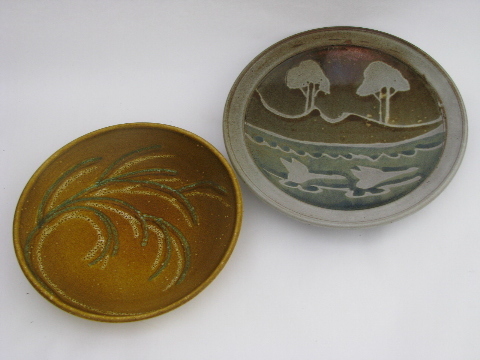 Both pieces are in excellent condition.